100 Years Of Jallianwala Bagh Massacre: The Amritsar massacre was one of deadliest attacks in the history of the world and also marked as a turning point in India's freedom struggle. 100 Years Of Jallianwala Bagh Massacre: Here's What Happened On April 13, 1919. April 13, 2019 will mark 100 years of the Jallianwala Bagh massacre. Considered one of the deadliest attacks in the history of the world, the Jallianwala Bagh Massacre led to the deaths of hundreds of unarmed Indians by the soldiers of the British Indian Army in Amritsar. On Wednesday, British Prime Minister Theresa May described the Jallianwala Bagh Massacre on April 13, 1919 as a "shameful scar" on the British Indian history. She, however, stopped short of a formal apology demanded by a cross-section of British parliamentarians in the previous debates. 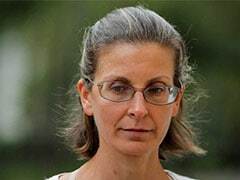 In a statement, marking the 100 years of Jallianwala massacre, she said, "The tragedy of Jallianwala Bagh of 1919 is a shameful scar on British Indian history. 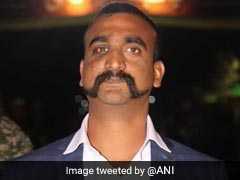 As Her Majesty the Queen (Elizabeth II) said before visiting Jallianwala Bagh in 1997, it is a distressing example of our past history with India." Amarinder Singh, Chief Minister of Punjab, said Theresa May's words were not enough. He said "an unequivocal official apology" is needed for the "monumental barbarity". Britain's opposition Labour Party leader Jeremy Corbyn demanded that those who lost their lives in the massacre deserve a "full, clear and unequivocal apology for what took place". Former British prime minister David Cameron had described the episode as "deeply shameful" in a visit to Amritsar in 2013. But he too didn't say sorry. Jallianwala Bagh massacre was one of deadliest attacks in the history of the world and also marked a turning point in India's freedom struggle. 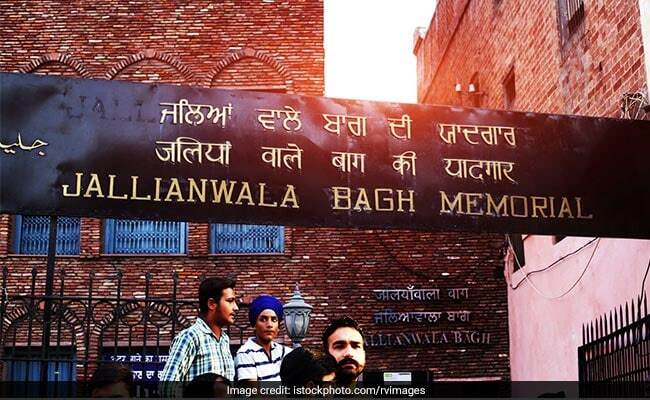 At the Jallianwala Bagh, which is a garden spread across 6 to 7 acres in Amritsar in Punjab, a large gathering of 15,000-20,000 people with a majority of Sikhs, had gathered to celebrate Baisakhi, the Punjabi harvest festival. They had also gathered to revolt against the repressive Rowlatt Act that led to stricter control of the press, arrests without warrant and indefinite detention without trial. They also came together in solidarity to condemn the arrest and deportation of two national leaders - Satya Pal and Dr Saifuddin Kitchlew. The Baisakhi pilgrims had no idea on what they were about to face. Around 50 soldiers of the British Indian Army marched into the garden space, commanded by General Reginald Dyer and sealed the exits. On his orders, the troops indiscriminately fired on the group of gathered civilians for about 10 minutes till the ammunition ran short.Unable to escape, people tried to climb the walls of the park but failed. Many jumped in the only well inside the garden to save themselves from the bullets. Eyewitnesses described the aftermath saying that heaps of dead bodies lay there, some on their backs and some with their faces upturned. Colonial-era records show about 400 people died in the Jallianwala Bagh Massacre when soldiers opened fire on men, women and children in an enclosed area, but Indian figures put the toll at closer to 1,000. 1,650 rounds of bullets were used in the attack, the reports suggest. General Dyer, dubbed "The Butcher of Amritsar", later said that it was a necessary measure, and that the firing was "not to disperse the meeting but to punish the Indians for disobedience".